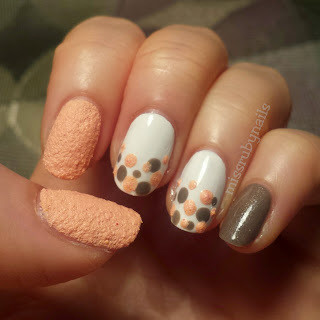 Peachy spring manicure here which I got quite a few compliments on Instagram for the color combonition! 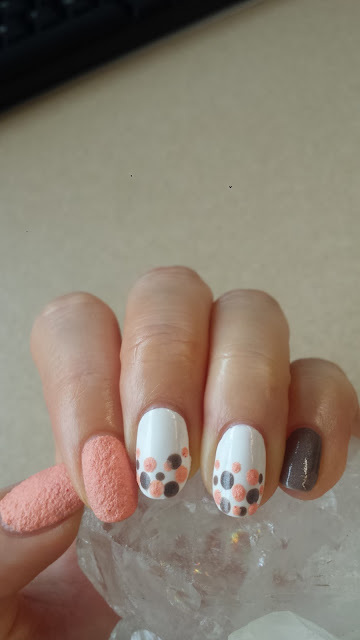 Simple nailart with different sizes of polka dots on my middle and fourth finger. I usually like to use 3 colors for simple nailart like this. The peach color is a textured polish I got from Ardene. They surprisingly have a big line of nail polishes with different finishes and nice glitter ones! 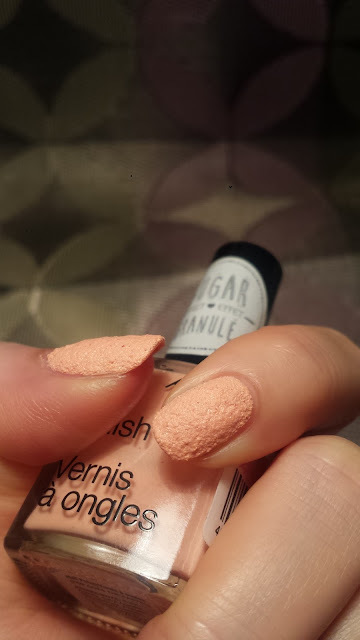 This Sugar Effect one I got applied nicely and it lasted quite well on the nails. However, some one saw it and said this looks like vomit on the nails hahaha..... I didn't use a top coat over the textured polish because that would cover the effect of the texture. 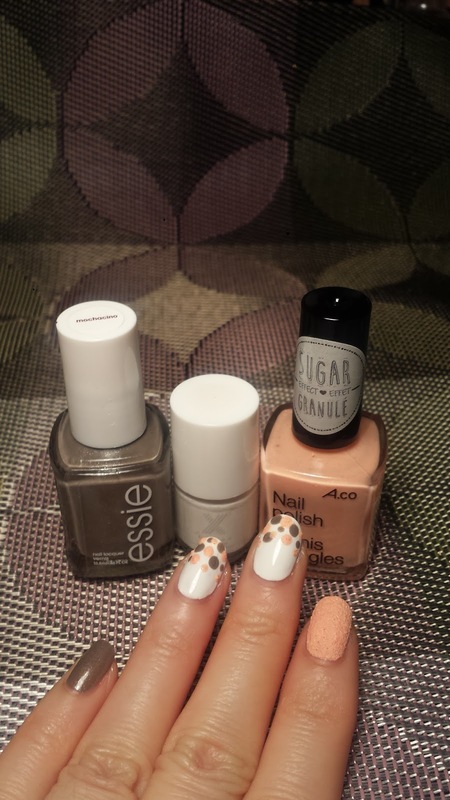 I then added some polka dots with the brown and peach polishes on the white nails in different sizes to get a more random effect.